The best way to learn acting and become a good actor is to work out your acting muscles as much and as often as you can. It can done through acting classes or booking regular acting jobs, but usually, a combination of both is the best approach. 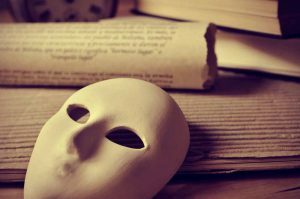 Even though there are plenty of great books on acting out there, you cannot become better simply from reading them. These skills are improved kinesthetically, which means you learn by doing. Consistency is what will get you there. Nevertheless, gleaning wisdom from those who have been down the path before, whether through books or online articles, will never hinder your chances. It’s useful to learn what others have to say. Just remember to implement what you learn in real life. 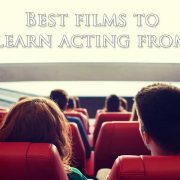 One of the ways to do that is to soak up the advice from famous acting teachers, and as luck would have it, you’ve got a list of mini-lessons compiled right here, in this very article. 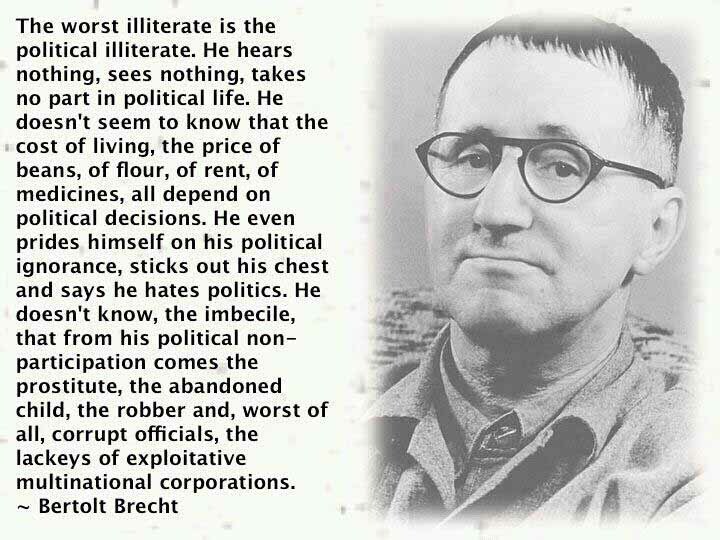 First up is none other than theatre practitioner Bertolt Brecht, whose work has imprinted itself on contemporary theatre. Good acting and theatre, from Brecht’s point of view, boils down to distancing the audience emotionally from the performance in order to appeal to them on a rational level. Brecht developed several techniques for actors on how to do this, including breaking character through speaking in third person and also addressing the audience directly. Jeffrey Tambor, an American actor who’s done well for himself and who has also led acting workshops. 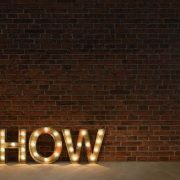 Viola Spolin, often referred to as the creator of improv, has over the years developed several improvisation games which can help an actor boost their performance. In the exercise ‘Tug of War’ for instance, actors get to practice on making imaginary objects appear real by tugging at an invisible rope. Stella Adler developed what is known as the “Adler Technique”. Among other things, the technique focuses on aspects of acting such as energy, tension, and physical control. Adler has given tons of advice and direction to actors over the years, and is arguably one of the world’s greatest acting teachers. Vsevolod Meyerhold gave new meaning to the word “biomechanics” which is used to describe his method where actors train physically in order to get a sense of their inner processing as well as their ensemble. Meyerhold believed that inner processing, like emotions, are sprung from physical movement. “Keith Johnstone” isn’t an anonymous name in the world of improv. Some wise words by him on creating a relationship with the audience are the following; “When we interact with a customer we are improvising the action and the dialogue moment by moment. From Augusto Boal’s – a theatre practitioner whose Theatre of the Oppressed brought social issues onto the stage – work has developed many different exercises for actors. One example is called “name and gesture”, where actors stand in a circle and each say their name, followed by a gesture which represents them. Everyone in the circle does this, plus repeat the gesture and name of the speaking person. At the end, the series of gestures are re-created without adding the names. Konstantin Stanislavski’s acting methods are viewed as close to sacred, and are widely praised by actors such as Stella Adler. Some of his advice on character development and portrayal can be summarized with the following: actors should access their own personal, emotional memory in order to gain a better understanding of their character’s emotions. 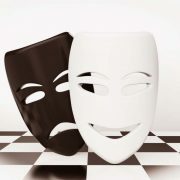 The actor’s experiences need not be similar to the character’s, yet the type of emotion channeled should be close to identical in order to produce a character whose thoughts and feelings are realistic to the audience. Jacques Lecoq is an acting teacher well known within the world of physical theatre. One famous exercise that he used is called “7 levels of tension”, where actors go from a near catatonic physical state with no tension in their muscles to a hypertense state with every part of their body rigidly posed. The technique is used to make the actor be able to fluidly transition between different states of tension. Out of Antonin Artaud’s crazed mind is birthed a theatre tradition known as The Theatre of Cruelty. This tradition placed emphasis on the actor employing strong emotions and also argued for that characterization should not come primarily from movement. Artaud’s beliefs on how a performance should be shaped are indicated by his following words: “There can be no spectacle without an element of cruelty as the basis of every show.” As can be guessed from these words, Artaud was probably not what you’d call “the life of the party”. If you’re into Hollywood productions, then Lee Strasberg is someone you definitely need to know about. He’s considered the founding father of method acting – a popular technique employed by many American actors. Taking a page or two out of Stanislavski’s book, Strasberg’s method is composed of several stages of acting, summarized as relaxing, concentrating, working with the sense and affective memory, and improvising. Ulta Hagen has an approach to role development which involves the actor using self-evaluation to get to the core of their character. Robert Lewis developed several exercises for actors, including one where actors divide into two groups. One group counts out loud in eights whilst the other group tries to interrupt them through calling out random numbers. More than just a way for you to revise elementary school math, it’s also a way to train concentration. David Mamet and William H. Macy put their heads together and cooked up something known as “practical aesthetics”. 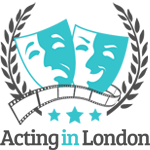 Within this acting method, the actor first identifies what is happening in a scene, and then examines the character’s motives in relation to other characters and the scene, only to use the actor’s own experiences to go about performing the scene. Dramatist Edward Albee, unlike other teachers on this list, doesn’t have any established acting techniques. In a YouTube video, he goes on to capture the essence of acting, which in his opinion is about “playing”. He also encourages actors to not get too serious and forget why they got into acting in the first place. She adds to this by saying that right before beginning an audition, the actor should psychologically free themselves of all the preparations, and just dive into the actual scene. Tony Danza bridges the distance between being an actor and being an acting teacher. Among other things, he gives the advice to his students to never slip up on an opportunity to learn by saying that “You have to be constantly learning”. 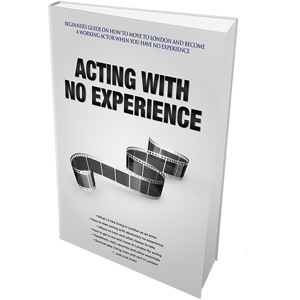 LA-based acting coach Doug Warhit, who’s authored books like “Book the Job”, says that actors can never have a successful audition unless they fully trust themselves. On acing auditions, he gives the following advice “Never go to auditions”. This makes more sense than you might initially think, as what Warhit means is that you shouldn’t think of the audition as an audition. Instead imagine that you’re going to the place that the scene is taking place. Caryn West also has something to say about auditions, advising actors to consider the story, and not just the role they’re auditioning for. Actors often risk forgetting their “function in the story” and even though they feel like they “act the crap out of a scene” (her choice of words, not mine), they still end up not getting the part. He goes on to give practical tips on how to do this, saying that you should do things like dance, tell jokes, and say hi to people on the street. His book “Intent to Live” is one of the best acting books to be ever written on the craft of acting and is praised by actors and teachers alike. 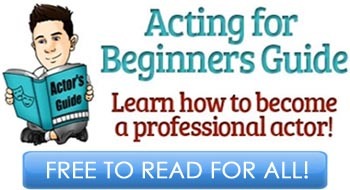 Acting coach Margie Haber has gotten creative when it comes to developing a skill for learning lines. Her “Haber technique” which she outlines in her book “How to Get the Part Without Falling Apart” allows actors to look at the lines on their paper as long as they maintain the energy and relationship between their character and another character. Similar to method acting, John Windsor-Cunningham stresses that in order to act realistically, you cannot get around the fact that you need to feel the emotion you are acting. Otherwise the image that you deliver to the audience is unlikely to be perceived as anything other than false. Russian actor and acting teacher Michael Chekhov created what is known as the “psychological gesture”, by which the actor communicates the character’s psychology through movements. 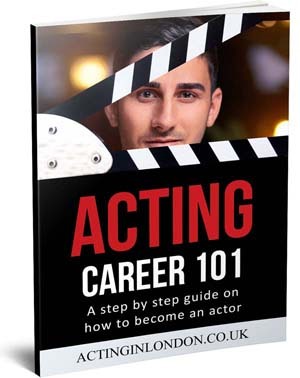 His book “To The Actor” is arguably one of the best out there. One technique used to do this is by the actor asking themselves questions about the character’s intents, and from there creating a gesture to express this intent. For those of you hoping to shortcut the path to becoming a good actor, Lynda Goodfriend’s unfortunately going to sink your optimism a little bit: “There is no magic number of years. Every actor learns and develops at a different pace. John Pallotta has zeroed in on what he refers to as principles, saying that: “My method teaches actors how to achieve and respond to honest emotions both on- and off-camera by using certain principles: innocence, imagination, vulnerability, and instincts. John Boylan offers his say on the importance of knowing where you stand with a character. James Lipton, the famous host of “Inside the Actors Studio”, has one word in mind when aspiring actors ask him for advice: “study”. He encourages actors to learn everything they can, saying that knowledge is “arrows in your quiver” which you can later pull out to your advantage. Richard Waterhouse has advice for actors who experience self-doubt as if though it were a persistent migraine. Tom Todoroff advises actors to “decide where you were before” a scene starts in order to come into the moment more naturally. Practice makes perfect, according to Cassie Freeman. Roy London who taught Brad Pitt points out the necessity for actors to brave into new waters. Teacher Del Close developed what is modestly referred to as the “Eleven Commandments” of improvisation. This includes listening to the audience, controlling your impulses, and not making fun on the audience’s behalf. According to Robert Lipton, it’s a requirement that actors do well on auditions to succeed. In his own words, he says, “Don’t audition well – don’t get the part”. He believes that prior to auditioning, the actor should do plenty of practicing like in the form of student films, as during the audition, the training wheels come off. From Bernard Hiller’s point of view, actors need to think about their job in the context of show business. He compares acting with a sales job, saying that if actors have “no clue” on “what they’re selling”, then their career is basically downhill from there. 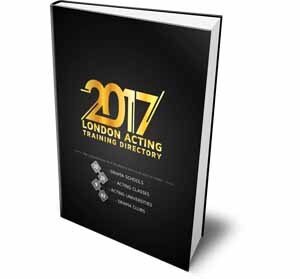 Acting Schools and Classes: Are They Necessary? 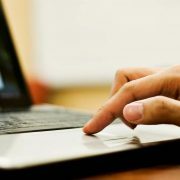 Online Acting Classes: Are They Worth It?